Are you having a tough time learning Japanese? If that's true, it's totally understandable because I think Japanese is a very difficult language to learn. But based on my experiences, I've come across an effective way that can help you learn Japanese easier. Watching videos from NicoVideo (NikoNiko Douga) is what I'm talking about. Videos are a great way to learn languages, and NicoVideo is the place to find tons of free videos online in various topics. It's the largest video sharing website in Japan, similar to YouTube, which allows you to get the latest and most popular videos uploaded by Japanese. You can upload, view and share any video to NicoVideo but you are not able to download them off the internet. If you wish to download the Nicconico videos and watching them offline for learning Japanese, you'd better try some NicoVideo Downloaders. Here I'll show you how to download NicoVideo videos with two NicoVideo Downloaders. Download or record videos from online websites including NicoVideo, Facebook, YouTube, Yahoo, TED, Vimeo, Dailmotion, BBC, NCB, etc. Extract audio from videos and save it as MP3, M4A, AC3, etc. AllMyTube will impress you with its fast downloading speed, easy operation, clean interface as well as the high video quality. Launch AllMyTube on computer after downloading and installing the software, then the main interface will show up. Now open your web browser and go to www.nicovideo.com and play the video you would like to download. Way 1. Copy and paste: Copy the URL of the video > Go to upper-left corner of the program's main interface > Select "Paste URL". Then the video will be downloaded immediately. Way 2. Record and save video on computer: Go to the main interface of the program and then click on "Record Video". Then place the recording window to the video you would like to record. Finally, click on "REC" button to start recording. 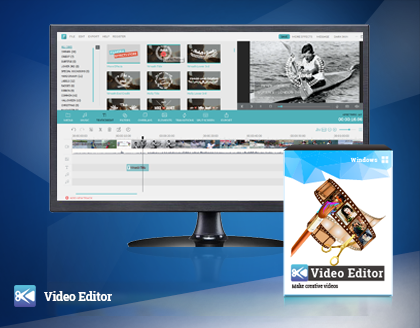 Download videos in multiple resolutions including HD 1080p, HD 720p, 4K quality from Nicovideo, YouTube, Facebook, Yahoo, etc. Support both video and audio conversion and support various formats including 4K, 3D, H.265, MP4, FLV, AVI, MOV, MP3, AAC, DVD disc, MXF, etc. Video Converter Ultimate is a powerful video downloader that you should try if you want to download videos effectively from Niconico, YouTube, Facebook or more. Run Video Converter Ultimate and open the videos you want to download from Niconico. Copy the URL of the video and then return to the app. Click on "Download" > "Add URL", then a small window will appear showing you the detail of the task. Click on "OK" and the program will immediately start downloading the video. If you want to convert the video format so as to import it to specific devices, you can use the conversion feature to get the task done quickly. Once you've discovered the power of these two NicoVideo downloaders you'll never look back. Now you can enjoy your downloaded Niconico videos anytime anywhere. Can't wait to get started and dive into the Nicovideo entertainment world? Download the trial version of the programs and give them a shot!